The Arianespace commercial launch consortium has won approval of its shareholders to recapitalize the company to compensate for two years of losses totaling 135 million euros ($184 million), European government and industry officials said Jan. 26. The shareholders, led by the French space agency CNES and Ariane 5 prime contractor Astrium Space Transportation, will not be paying that amount in cash, however. European governments have ordered a detailed audit of the sources and uses of money at the Arianespace commercial launch consortium and its industrial suppliers as a condition of granting the companyâ€™s request for what may be a permanent financial aid package to assure its ongoing financial viability, European government and industry officials said. Europeâ€™s Arianespace commercial launch consortium on Jan. 4 said revenue for 2010 dropped by about 10 percent compared to 2009 and that the company will report a loss unless it receives requested financial aid from European governments. The Evry, France-based company conducted six launches of its heavy-lift Ariane 5 rocket in 2010, down from seven in 2009, and this is the main reason for the revenue drop, to slightly more than 900 million euros ($1.2 billion), in 2010. The European Space Agency (ESA) was unable to win its member governmentsâ€™ approval of NASAâ€™s proposed five-year extension of operations of the international space station because of an unrelated dispute over financial support for Europeâ€™s Arianespace commercial launch services consortium, ESA and European government officials said…. Out of 31 Russiaâ€™s launches, 15 have been made by the rockets produced by Khrunichev Space Center, including 12 of heavy-lift Proton. That is two times more than for Protonâ€™s rival, Ariane 5. 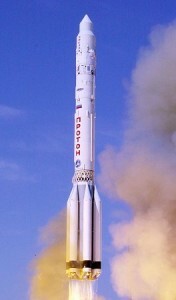 Proton has also beat another record, making 29 launches within 29 months. This evening, an Ariane 5 launcher lifted off from Europeâ€™s Spaceport on a journey to place two telecommunications satellites, Hispasat-1E and Koreasat-6, into their planned transfer orbits. 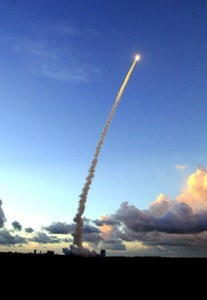 Flight V199 was the sixth Ariane 5 launch of 2010 and the last of the year. Read French President Nicolas Sarkozy’s full communiquÃ© concerning the future of his country’s space industry after the break. Basic build-up of the milestone 200th Ariane for launch is now complete at the Spaceport, marking a new milestone in preparations for an Ariane 5 mission that will loft a European Automated Transfer Vehicle (ATV) next February to service the International Space Station. During activity in the Spaceportâ€™s Launcher Integration Building, the Ariane 5 ES version of Arianespaceâ€™s heavy-lift workhorse was fitted with its equipment bay, followed by installation of the EPS upper stage. With these steps completed, the Ariane 5 is ready for transfer to the Final Assembly Building, where the ATV â€“ named after German astronomer/mathematician Johannes Kepler â€“ will be installed.Â The Final Assembly Building currently is occupied by an Ariane 5 ECA launcher version, which is waiting to receive its payload of the HISPASAT 1E and KOREASAT 6 telecommunications satellites for a liftoff scheduled on December 28 from French Guiana. Produced by Rocket Center Progress of Samara (TsSKB-Progress), Soyuz rocket marked its 1765th successful mission on Dec. 15,Â TsSKB-Progress DG Alexander Kirilin said at Baikonur. 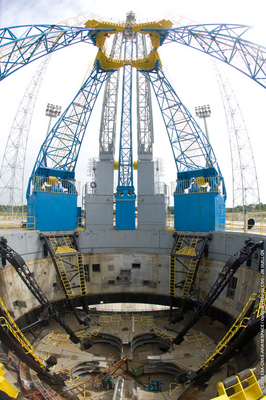 To remind, Soyuz-FG modification injected into orbit Soyuz TMA-20 vehicle with three crew on Dec. 15, at 22.09 MSK. 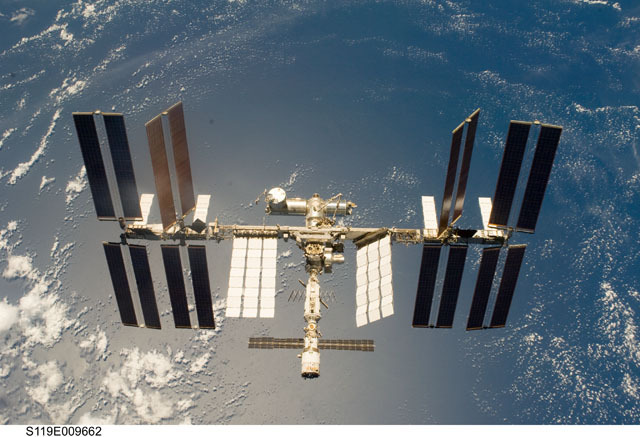 Kirilin noted that 5 Soyuz modifications are in operation by the Russian Space Industry. Soyuz-FG is featured by reliability ratio of 0,952. Another ‘brother’-rocket in the Soyuz family, Soyuz-ST, is slated for its maiden launch from European space port in French Guiana next year. 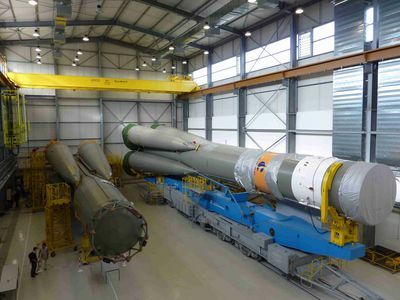 The second of two Soyuz launchers in French Guiana is undergoing assembly as part of regular maintenance checks that are standard for the Russian-built vehicles in storage awaiting liftoff. In activity at the Spaceportâ€™s new Soyuz Launcher Integration Building â€“ known by its Russian â€œMIKâ€ designation â€“ this vehicleâ€™s four first-stage strap-on boosters have been integrated with the Block A core second stage, allowing propulsion system pneumatic testing to be conducted while the vehicle is installed in horizontal jigs. Much like British Prime Minister David Cameron, French President Nicolas Sarkozy chose to start his visit to India from Bangalore. After landing at the HAL Airport, Sarkozy along with his wife Carla Bruni, ministers and business delegates, headed to the ISRO Satellite Centre where he was briefed on the Megha- Tropiques satellite, which is being co-developed by India and France. The VinciÂ® rocket engine, developed by Snecma (Safran group) as prime contractor, was successfully ground tested yesterday with its extendible nozzle deployed, under conditions representing an actual flight. Yesterdayâ€™s firing test marked a major milestone in the development of this rocket engine, which will power the new upper stage of the Ariane 5 launcher starting in 2016. 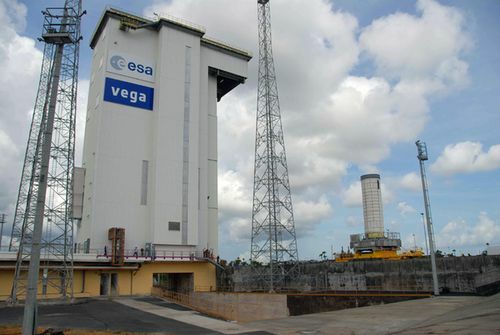 A representative P80 first stage for Vega is now on the launch pad in French Guiana, marking a milestone in preparations for next yearâ€™s introduction of this lightweight vehicle, which will be operated by Arianespace in commercial missions. The P80 first stage was rolled out to the Spaceportâ€™s Vega launch zone on October 26 as the initial step in combined testing of Vega with its ground-based infrastructure. This full-scale stage is complete with instrumentation, and has been filled with a simulated load of solid propellant. 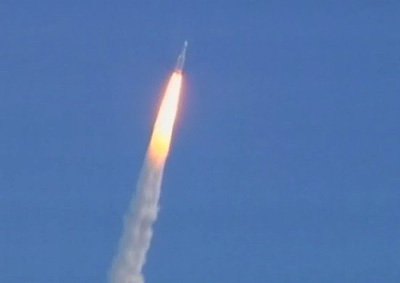 Arianespace is poised to build on its successful 30-year track record as the worldâ€™s leading launch services provider â€“ benefitting from a robust payload order book that ensures more than three years of mission activity, and supported by the extension of its launcher family with the introduction of Soyuz and Vega during 2011 at the Spaceport in French Guiana. This was the outlook provided by Chairman & CEO Jean-Yves Le Gall at Arianespaceâ€™s traditional 2010 World Space Business Week conference press breakfast in Paris, where he provided an overview of the companyâ€™s activity and offered his perspective on the satellite marketâ€™s future. 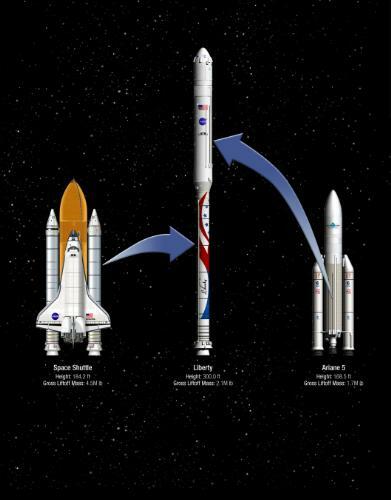 Europe’s efforts to add two new launchers to its spaceport in French Guiana are proceeding, although not at the pace everyone would like. 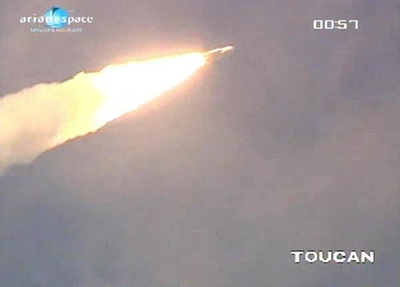 Meanwhile, Arianespace will be expanding its rocket co-marketing relationship with ISRO.